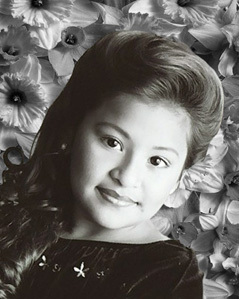 Hello my name is Brandie, Im 11 yrs. old and it is an honor to represent Flaunty Creations as "Glamour Model 2004", I plan to do my best in order to have as many of you here with me also representing this wonderful system Flaunty Creations. Meghan is a Flaunty Model and loves representing her title! 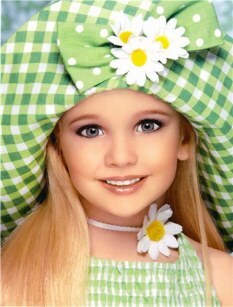 Meghan started pageants and modeling at the tender age of 2. 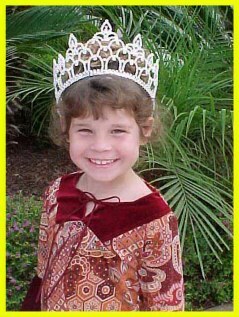 We couldnt keep Meghan "off" the stage at that age, she wanted to be "on" even when it wasn't her turn! =) She has held many State and National Titles over the years. Modeling is her favorite part of participating in pageants! Her most recent modeling win was at the 2002 Miss American Starlet Winter Nationals. 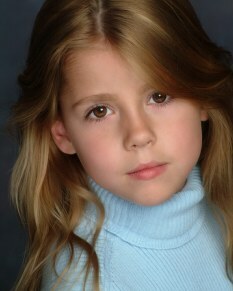 Hello, my name is Serena Lyon, I am 11 years old from Southern California.. 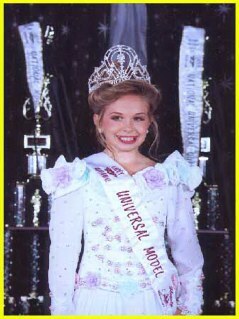 I was so proud to be crowned, Flaunty Creations "Universal Model" the highest title, at Nationals last year. What an honor to represent Annette and her beautiful clothing line. What Awesome modeling events you have! You make it so much Fun! Thank you for the gorgeous clothes and the beautiful crown and gifts!! Hi, my name is Jayde and I am 10 years old. I live in Arizona with my mom, dad, brother Chad and my dog Freckles. I also have two older brothers Aaron and Sean who live in California. I love to dance and hang out with my friends. 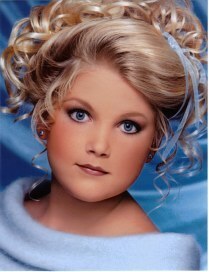 I love modeling and doing pageants when I am not at a dance competition. I am the 2002 National Overall Supreme Model, 2002 State Supreme Model and 2003 Winter Showcase Overall Star Model for Flaunty Creations. I really enjoy modeling for Flaunty and I like getting to try on all the clothes. Hello, I am Olivia Rose Hilton and I am 3 years old. I was born in St. George Utah on July 21st, 1999 and Live in Hurricane, Utah. I love doing pageants and have met so many nice people along the way. I mostly compete in Southern California and have competed in about 11 different systems. One of my many favorites is for Flaunty Creations. Annette is a very loving person and you will not find many like her and never one just like her. I have grown to love her and Esther and they make me very happy every time I am around them. I started in there system when it started and I have become and will stay a family member of her system for as long as she will have me. ( Which I am sure she will always' want me). My family and my self love you Annette and hope to get to know you better. You are a wonderful person and I thank you so much for having me as one of your Flaunty Models. Hello my name is Cassandra Ashe and I'm Flaunty's Two Time Grand Supreme,I'm so glad I'm part of Flaunty's Family! I always have fun at her model searches. I always get cool outfits, that is all I wear all the time. I get the best gifts and crowns that are to die for, everyone makes court, how cool is that!! I always feel so loved by Annette, Miss talented Ester and Family, they have helped me and my family in the acting world, which not many people would take the time to do. I could go on and on how great they and her model search is but we all have to get back to our lives, I hope you all out there want a new wonderful family as you will be part of soon.